Are you ready to take your next steps in creating the life you want to live? Do you long to feel emotional freedom, a sense of clarity, and more empowered? Fill yourself first – give yourself what you need to grow! Choose from a wide array of topics offered to support you in improving your health and increasing your happiness. Programs are offered in varied platforms—self-directed online courses, webinars, and live classes—to match your preferred learning style. Let this be the year of you discovering and expressing your best self! 21 days of communication to inspire you to go deeper within. We will utilize journaling as a tool to access your passion and release what blocks you from achieving your goals of being your best self. What you will get from this program is an opportunity to be focused, inspired and go deeper to expand your potential. Take an hour to take care of YOU! This experiential online session guides you to be present within yourself, detach from stressors and replenish your reserves! You’ve heard meditation is good for you, but you don’t quite know how to get started? Ginny introduces easy, effective, and fun ways to learn how to meditate. Participants gain an understanding of the benefits of meditation, learn techniques to combat stressors while experiencing several different forms of meditation. Mindfulness is the art of paying attention to our current moment experience. By becoming mindful we learn to respond to our circumstances rather than react to them. 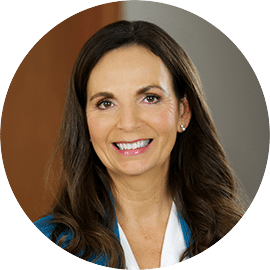 This seminar offers participants a deeper understanding of the benefits of mindful living, while providing experiential opportunities that can be utilized in everyday life. The practice of mindful eating helps us become aware of our relationship to food and increases the joy of healthy eating. By paying attention to cravings and physical cues when eating, we listen to our hunger rather than habits. Rather than eating quickly and mindlessly, we make eating an intentional act. Looking for Reiki-related classes and programs? Head to the Reiki Classes & Continuing Ed page for details. Ginny has so much knowledge and experience to share that I can listen for hours! I learned so much from Ginny. In all of the classes Ginny gives clear instructions, handed out the proper materials needed for the class and she always conducts herself in a professional manner. Ginny shows empathy and understanding for her clients and students. She is so knowledgeable! I truly feel that I learned from the best. 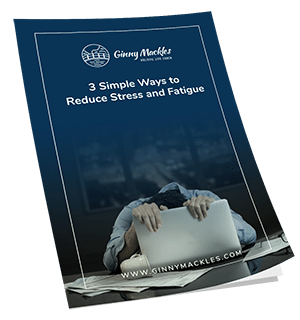 Ginny Mackles is the rare teacher and facilitator who has the ability to empower her students and clients with loving support, wise advice, step by step training and most importantly, acute powers of discernment. In today’s cluttered landscape of lifestyle gurus, coaches and teachers, Ginny stands out. I consider Ginny to be a formative influence in my work life, my emotional live, and in my spiritual practice. Many thanks to Ginny! Great speaker, great program! Can’t wait to learn more from her!! Ginny is a wonderful Teacher! She brings so much integrity to her work. I learned so much from my many sessions and classes with her. Ginny is 5-star in all ways…as a person, as a healer, and the benefits she offers the world. I strongly recommend her!! !